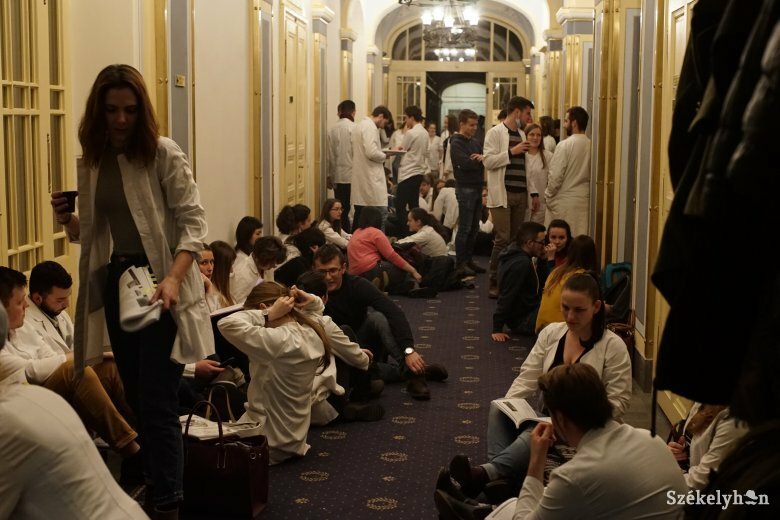 Some 800 Hungarian students of the Marosvásárhely/Târgu Mureș medical university rallied for the creation of a Hungarian Faculty and against recent discriminatory exam rules. At the time of their silent protest politicians were supposed to discuss the above issues. The meeting, however, ended without agreement on the exam rules and the issue of the Hungarian Faculty was not even discussed. Two weeks before the exam session the university senate made changes to exam rules which the students say could only be made before the beginning of the academic year. The decision was also made in the absence of the Hungarian section’s teachers who decided last September to boycott the meetings until the issue of the Hungarian Faculty was solved.